There are a lot of people who get confused with Bosch DLR130K and the Bosch GLM50 simply because they are made by the same brand. Some people assume that since they are made by the same brand, their features are not too far off too. 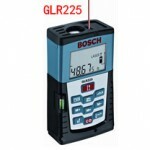 For those who have already done their research, you are probably aware that Bosch DLR130K is the older model while the Bosch GLM50 is the newer model. Based on this fact alone, you may already assume that the Bosch GLM50 is better because it is released just recently but is this really true? This article is meant to inform you about the differences of the two and to help you choose the best one for you. 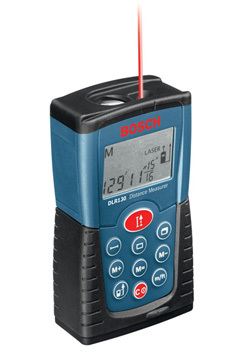 The Bosch DLR130K is known to be one of the favorites of people when they are trying to measure digital distance. 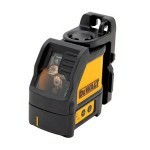 This product is known to be the world’s smallest range finder until the Bosch GLM50 came out. This is known to be a compact product that is small enough to be brought everywhere. This needs four AAA batteries in order to work. This is a handheld device which of course means that how it will feel in your hands is extremely important. There are some hand held devices that fail to excite simply because they do not feel right. This problem will not be felt with the Bosch DLR130K because it feels compact and just right when you hold it. 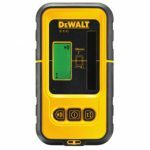 The DLR 130K stores one measurement that will allow people to remember the measurement that they have just made for a certain period of time. Of course, when a new measurement is made, the previous measurement cannot be seen anymore. 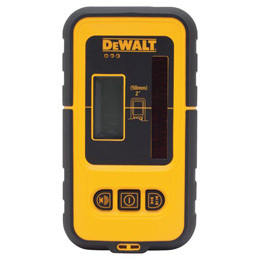 The DLR 130K features length, volume, area and other length measuring modes fit for any type of measurement needed. It is truly versatile and can be used to measure almost anything. One thing that I was disappointed with the Bosch DLR130 is that it is not backlit. Sometimes, it is hard to see the measurements because of the sun’s rays or because of the extreme light. I had to angle the product in such a way that it will be easy for me to see the measurements that are being displayed on screen. Other than that, I did not find any problem with it. Since the Bosch GLM50 is known to be the newer model out of the two, it is no surprise that it comes in more features that people can appreciate better such as the fact that it is backlit. It was mentioned earlier that the Bosch DLR130 is not backlit which made it hard to see the measurements under direct sunlight or depending on the condition. With the Bosch GLM50, this is not a problem at all since the measurements can be seen easily. 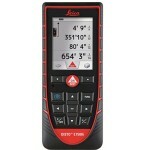 While the Bosch GLM50 is smaller than the Bosch DLR130, I have noticed that I like the feel of the Bosch DLR130 on my hands better because it feels compact while the GLM50 felt a bit cheap and too narrow for my hands. 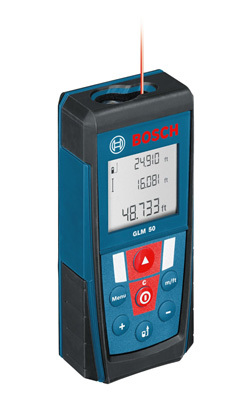 One advantage of the Bosch GLM50 over the Bosch DLR130 is the fact that it can display up to 3 measurements at a time. This is very helpful especially for those who would like to do things fast. 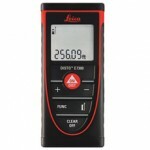 Since it has the ability to measure three things at once, it can be very helpful too. Based on the things that are mentioned above, it is pretty obvious that there are still some differences between the two even if they are made by the same brand. Just remember that no matter what you choose, you can never go wrong because it has been made by Bosch; a company that is known to produce excellent tools for your needs. Click here to purchase Bosch DLR130K on Amazon! 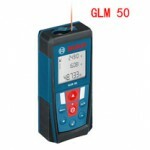 Click here to purchase Bosch GLM 50 on Amazon!